"We all know what Rainbow is," began Lamondois. 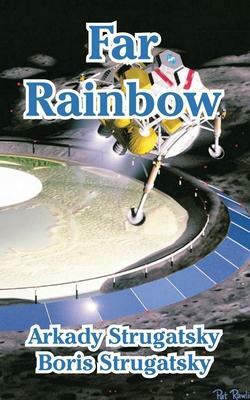 "Rainbow is a planet colonized by science and designed for physical experiments." "The Far Rainbow was written at one breath, it is full of dynamics and genuine dramatism." - Literary Gazette "Science-fiction stories by the Strugatsky brothers are philosophical pieces. They are full of action but each action is clearly imbued with speculation. "- Neva Magazine "Take the Far Rainbow, for instance. 'Authentic' is the word, and this is rather unusual where science fiction is concerned." - The Young Guard Magazine The brothers Boris and Arkady Strugatsky have chosen different careers. Arkady is a linguist and Boris an astronomer. Perhaps it is this divergence of interest which has helped them to describe the world of the far future so vividly. The brothers Strugatsky are among the most prominent Soviet science-fiction writers. They have written a number of works in the genre.